Our department dedicated to designing and manufacturing of agricultural machineries “Made in Italy”. 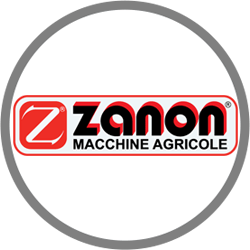 From the heavy duty flail to drum mowers for handling both large and small gardens, Zanon Group introduces innovative products every year. Our goal is to deliver high quality and long lasting products at competitive prices, with a special focus on design and best varnishes. Zanon Group Electronic System division focuses on designing and producing electronic tools for professional customers. For example, Zanon Group developed an electronic beater equipped with a high performance battery for the olives harvesting industry. Our company offers various solutions for agricultural businesses such as beaters, scissors, pruners and binding machines. Our products are also eco-friendly since there is no use of petrol. Zanon Group Laser Cutting division has been offering complete laser cutting services for more then 20 years. Our services include all final manufacturing processes, such as surface treatment, and we are open to listen and satisfy our customers’ needs. 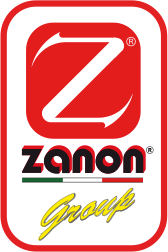 Zanon Group guarantees a high competencies service, with short lead time and competitive prices. Moreover, Zanon Group can count on innovative, up-to-date and recently installed manufacturing equipments and facilities. Share your experience and opinions on our products on Facebook. Watch the videos of our agricultural, electronic and pneumatic machinery on YouTube and share them with your friends. Subscribe now to stay up to date on our events and promotions.